C is for cellophane, not cookies. Yeah, cookies might taste good, but once you have one, your productivity goes way down. With these cellophane sleeves, you'll feel productive, organized, and stylish! 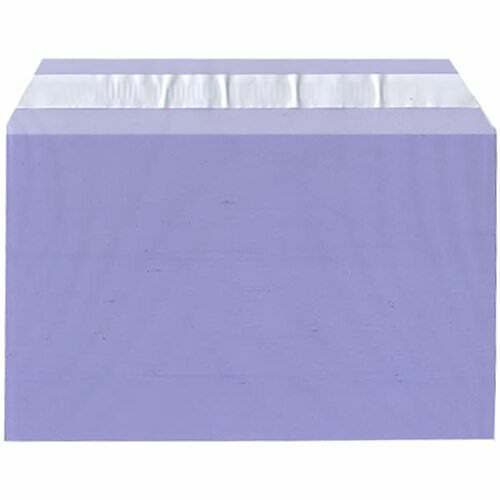 Use these cellophane envelopes to store all of your photographs, scrapbook materials and memos. Or send these out with invitations to your wedding, baby shower, anniversary, or any other special occassion. And what makes these cellophane sleeves different? Well, just look at the color! This lovely lavender will give you a super sweet touch to anything you store inside! Tint your mail in this sweet way, and you are sure to get a response! Along with the color, this cellophane is durable, safe and acid-free so those documents will be super protected. Equipped with a self-adhesive strip so that your papers will be safe on the long (or short) journey.